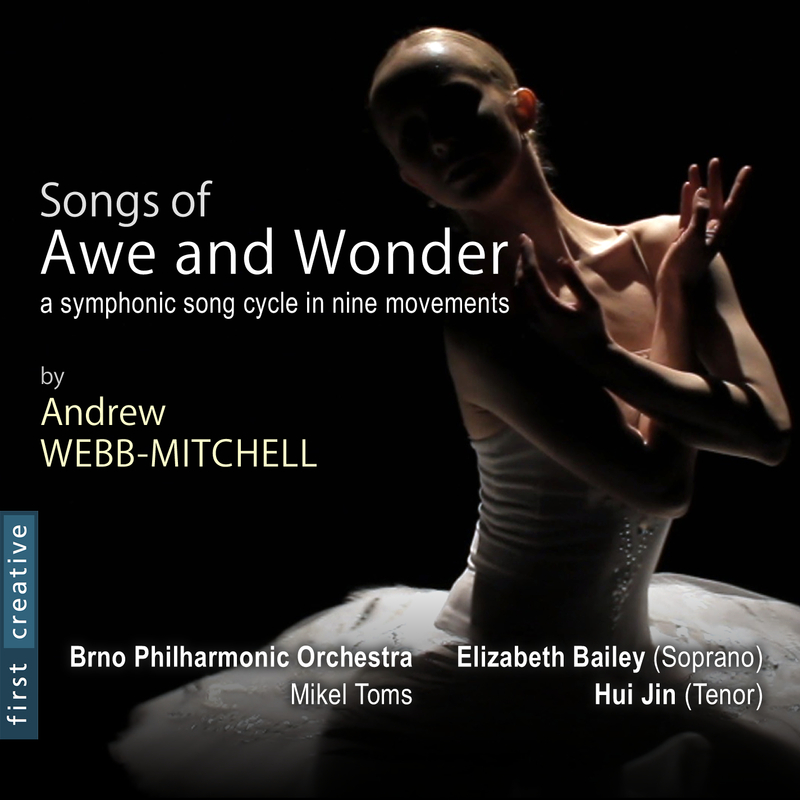 The physical CD of Andrew’s orchestral song cycle, Songs of Awe and Wonder is now available to buy from Amazon UK. The disc will also soon be available from Amazon US. A downloadable version of the cycle also went on sale last month and is available on iTunes. Andrew is delighted to continue his partnership with First Creative who are also producing short films for each of the nine movements. The release of the CD is the culmination of several years of development. It was recorded by the Brno Philharmonic Orchestra, conducted by Mikel Toms and features English soprano Elizabeth Bailey and Chinese tenor Hui Jin. Songs of Awe and Wonder is Andrew’s professional debut recording.